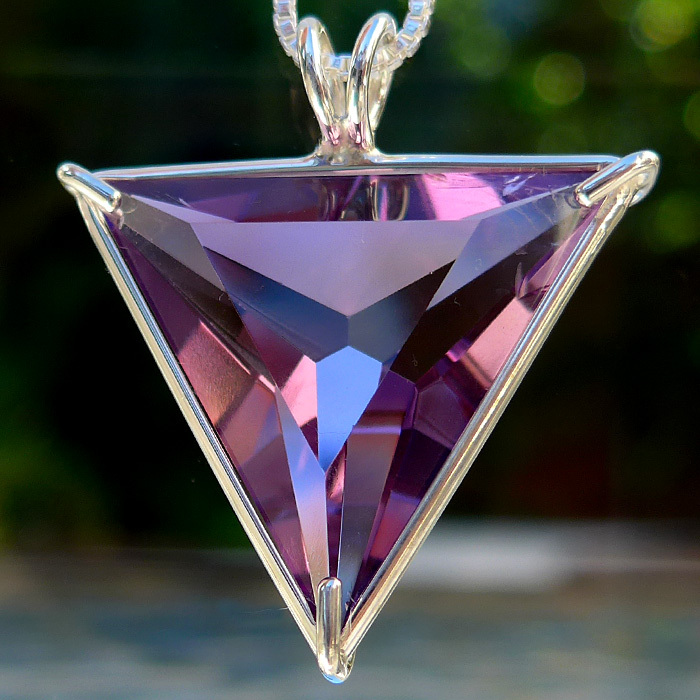 Dimensions (HxWxD): 1.2" x 1" x 0.2"
This beautiful water clear deep purple Amethyst cut Angelic Star pendant is of exceptional quality, both in the cut of the stone and in the simple silver band setting which allows the stone to breath and function at its highest vibration. This pendant comes with a simple sterling silver chain which will sit upon the thymus, between the throat and the heart chakras, where it will be of most beneficial resonance. 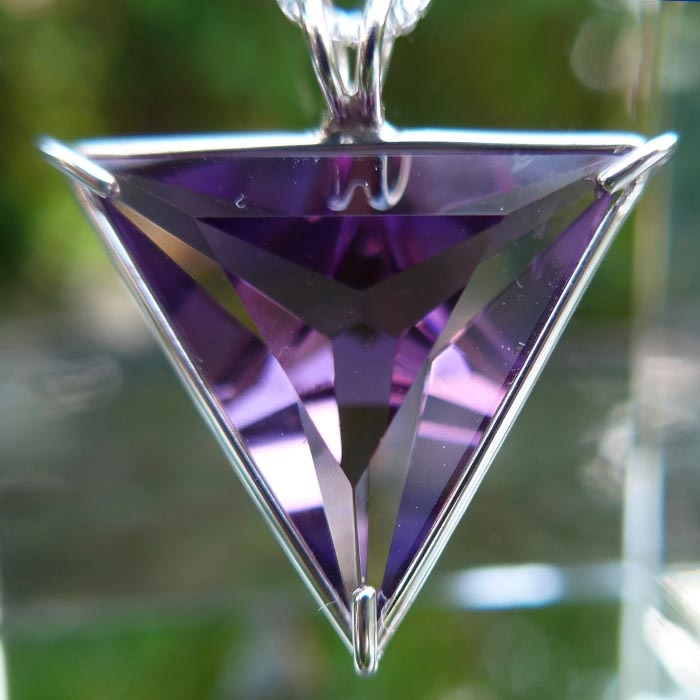 We often recommend that our Reiki and past life therapy clients wear crystals or gemstones for protection. Each cut and each type of crystal and gemstone has its own unique energy signature and metaphysical properties, useful in healing and meditation. The Angelic Star is cut according to principles of sacred geometry in the form of a six pointed star resembling angel's wings. The Angelic Star pendant is designed to facilitate the bearer's connection with Divine Awareness, providing access to the Ancient Wisdom Teachings in the Universal Storehouse of Knowledge. The Angelic Star opens a clear channel of communication to the Angelic Realms. 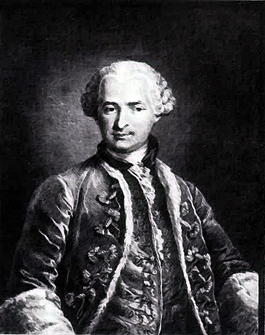 Many New Age students of St. Germain utilize crystals and gemstones in their spiritual practice, for healing and in meditation, in a modern alchemical quest for Higher Self, Higher Mind and Higher Purpose. Modern New Age practice encompasses a belief in the theory of karma and reincarnation. The belief in reincarnation has its roots in the Hindu and Egyptian Mystery School traditions, and is fundamental to the Greek Mystery School Tradition of the pre-Socratic philosophers, as we discuss at great length in the online E-Book “Spirits of Stone: A Lightworker's Guide to Crystals for Healing and Meditation. 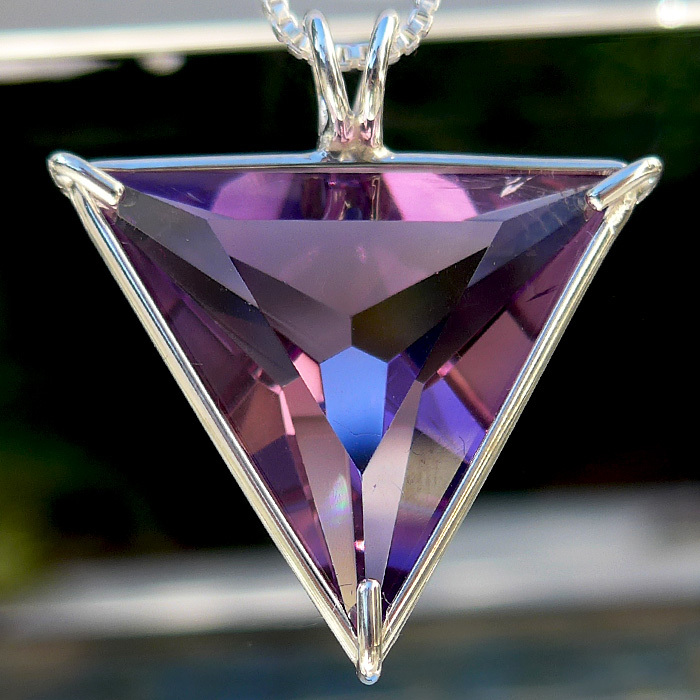 We know that you will this powerful crystal with loving care and respect its long evolutionary journey deep in the Earth, which has developed its unique metaphysical properties and beautiful appearance. Note: Weight above is shipping weight. Actual weight of this pendant is .20 oz. Each piece is unique and may vary slightly in appearance. Each piece is guaranteed to be beautiful and to meet with your complete satisfaction!